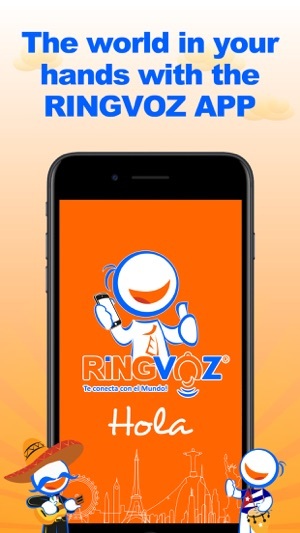 RINGVOZ - Connects you to the World! 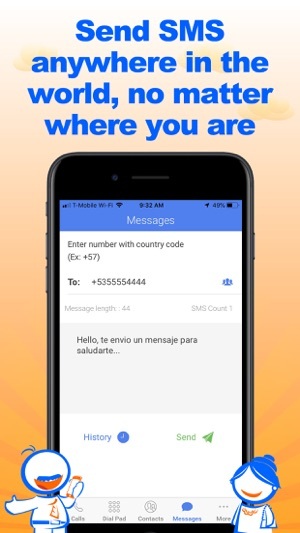 With RINGVOZ you get the best international calls and SMS service at the lowest rate, plus instant Top-Up of international mobiles, and a the easiest way to communicate from your cellphone. Doesn't have an account yet with RINGVOZ? 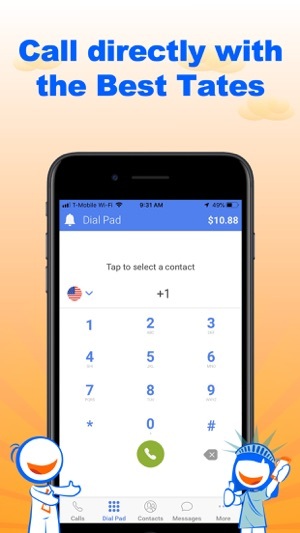 Install our mobile app and receives FREE MINUTES to call any international destination from your phone. 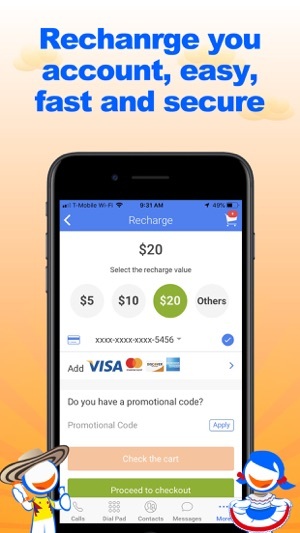 What you can do with RINGVOZ APP? 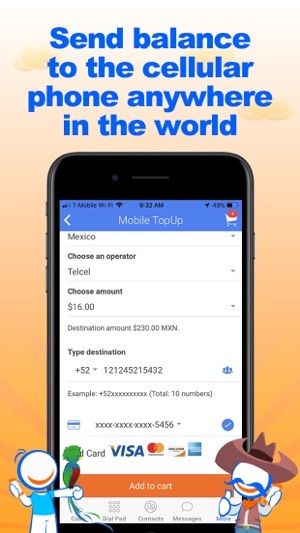 - You can Top-Up international mobiles easy and fast. 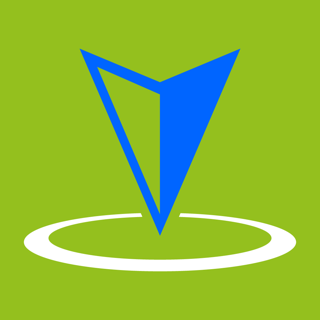 - Add funds to your RINGVOZ account to make International Calls. 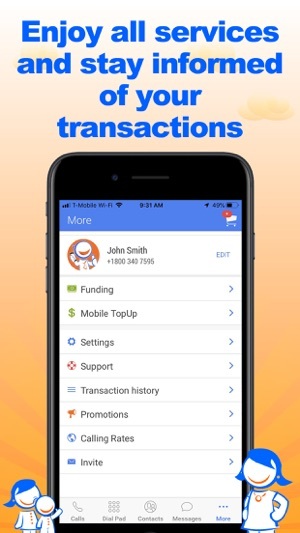 - Check your transactions history. - New Favorite contacts feature. - New purchase again option from your purchase history.